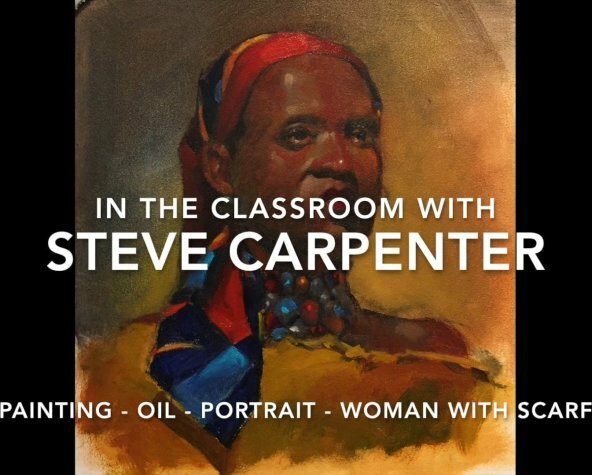 This is an oil portrait painting demonstration on gessoed paper. Steve begins with a charcoal drawing underpainting which establishes the basic composition. Initial color is built with layers of transparent paint. This process establishes the basic color composition and value range. The portrait is refined using thicker, opaque paint. This demonstration provides an approach to portraiture using basic oil painting techniques and considerations.